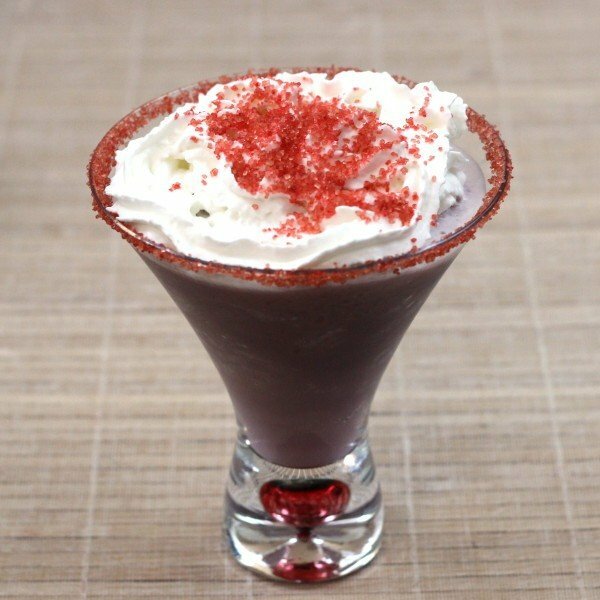 The Raspberry Beret is a catchy little cocktail named after a catchy little song. It’s sweet and creamy and delicious – perfect as a dessert substitute. It’s also a lot of fun during winter, anytime you want to warm up with something that’s over the top, exciting and goofy all at the same time – you know, like the 80s. Blend everything together with ice. Rim a martini glass with red sugar (you can add red food coloring to regular sugar). Pour everything, including the ice, into the glass. 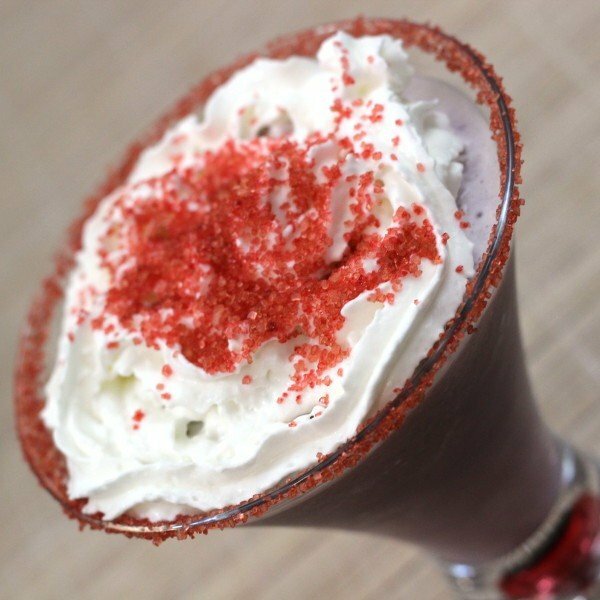 Top it with whipped cream and sprinkle more of the red sugar on top.